When you are looking for a great fundraising idea a raffle hits the top of the list. Your school or non profit organization can raise thousands of dollars just with one simple raffle. Successful raffle organizers recruit supporters including individuals and businesses to donate all of the prizes. When all of your prizes are donated there is no money going out the door for expenses except for raffle ticket printing. 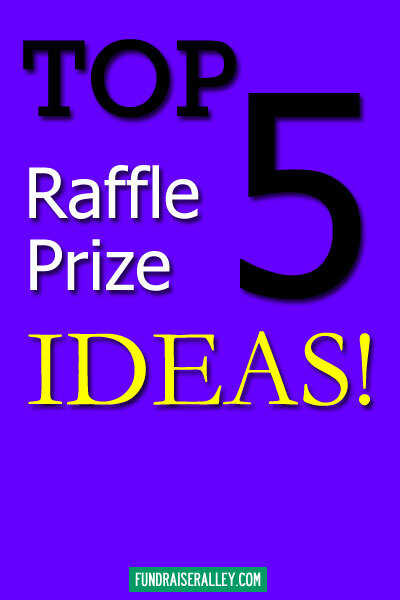 You may know that raffles are great fundraisers, but do you still need raffle ideas for the prizes? First of all, put yourself in your potential supporter’s shoes. What type of prize would really get someone interested in buying tickets? Raffle prize ideas should be ones that appeal to a large majority of people. Seasonal products make a great raffle prize idea. Choose something that lots of people need or would love to have to help with Spring chores. They will be happy to take a chance on winning! Have your raffle at the beginning of the season or just before it begins. For Spring, I suggest things you will need for outside yard or garden work. A few examples would be: a cool Gorilla Yard Cart, a nice Yard Hose or Garden Tool Set. An Outdoor Grill is another idea for a Spring raffle prize. Put your heads together and think of something people in your area would love at this time of year! Gift Certificates and Gift Cards make great prizes and are some of the easiest raffle prizes to get donated. Gift certificate raffle prize ideas include restaurants and retail stores like Home Depot or Best Buy. These make great secondary prizes or you can bundle several together to make raffle prize with a larger value. Amazon, along with their own, offer gift card options from almost anywhere. Roundtrip Airfare, a package deal, a cruise, hotel stays, even airline miles all make great raffle prizes. Most people love to travel and the biggest obstacle is usually cost. Now if they win this raffle, they’ll just have to take some time off work and go. With a little creativity and persistence, you’ll be able to get some great prizes for your raffle! Article courtesy of Raffle Secrets, the complete raffle fundraising system that guides nonprofits step-by-step to creating an amazingly profitable raffle fundraiser. Don’t Forget the Raffle Tickets! Amazon has the largest variety of fundraising help books and ebooks about anything you need to know. 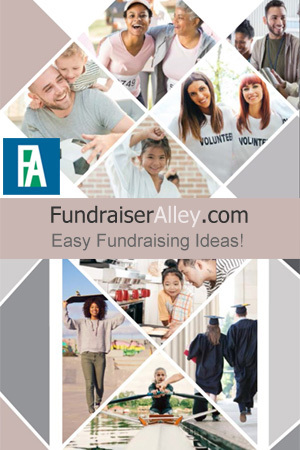 Some of my favorites are Fundraising Guru and Funds to the Rescue. Notice: As an Amazon Associate I earn from qualifying purchases. This does not affect the price you pay.